The best way to prevent colds is to wash your hands regularly throughout the day. Because bacteria lives on so many common household and personal items people come into contact with daily, it's important to keep hands clean to prevent that bacteria from causing an infection. You may also want to consider using hand sanitizer between washes. 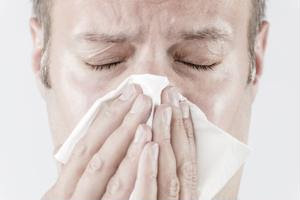 Try to stay away from anyone who is displaying cold symptoms, like coughing, sniffling or sneezing. Keep your body healthy and build your immune system by getting enough sleep, eating nutritious foods and staying active. Consider a B12 shot, which can really help seniors' immune systems fight infections. Try to relax and destress as much as you can. Stress can really affect your body's overall health and prevent your immune system from working effectively.